A guide to resources for running for office. These books, organizations, and companies will give you everything you need. Whether you’ve just started mulling a run for office or you’re already designing your yard signs, a wealth of resources on and offline offer information about the process of campaigning. So Slate has compiled a list of organizations offering candidate training, campaign books, and campaign service providers. If you decide to go for it (as you should), these resources could be valuable. Know about an organization or service provider that would be added to the list? Leave it in the comments. Campaigning requires a lot of skills that we don’t typically utilize in everyday life (crafting a message, fundraising, kissing babies). These organizations help teach first-time candidates the ins and outs. The National Democratic Training Committee offers free online training for Democratic candidates. The Progressive Change Campaign Committee trains progressive candidates and solicits small-dollar donations from its nearly 1 million members for the candidates it endorses. Democracy for America holds on-the-ground candidate trainings for progressives across the country and offers a “Night School” focused on online campaign skills. DFA also endorses candidates. Wellstone holds on-the-ground trainings for progressive candidates throughout the country through its Camp Wellstone program. EMILY’s List trains Democratic women and endorses candidates. On Sunday, Jan. 22, EMILY’s List will hold a training for women participating on Saturday in the Women’s March on Washington. She Should Run offers resources for progressive women considering a run for office. Emerge America offers an in-depth, seven-month training program in 17 states. It has a track record of success in electing progressive candidates. The Gay & Lesbian Victory Institute trains LGBTQ candidates. The New American Leaders Project offers a three-day program called “Ready to Lead” for potential candidates from immigrant communities. The New Politics Leadership Academy trains military veterans and alumni from the Peace Corps, AmeriCorps, and other service organizations for campaigns. Veterans Campaign offers weekend workshops for veterans considering a run for office. Aristotle offers tools for fundraising, financial disclosures, and canvassing. Camelot offers a suite of tools for fundraising and email, volunteer, and event management. Campaign Partner offers campaign website creation and hosting services for political candidates. It starts at $29 per month. Eventbrite offers free event registration as well as promotion services for free events. Media Mezcla offers progressive candidates tools for fundraising and email, volunteer, and event management. 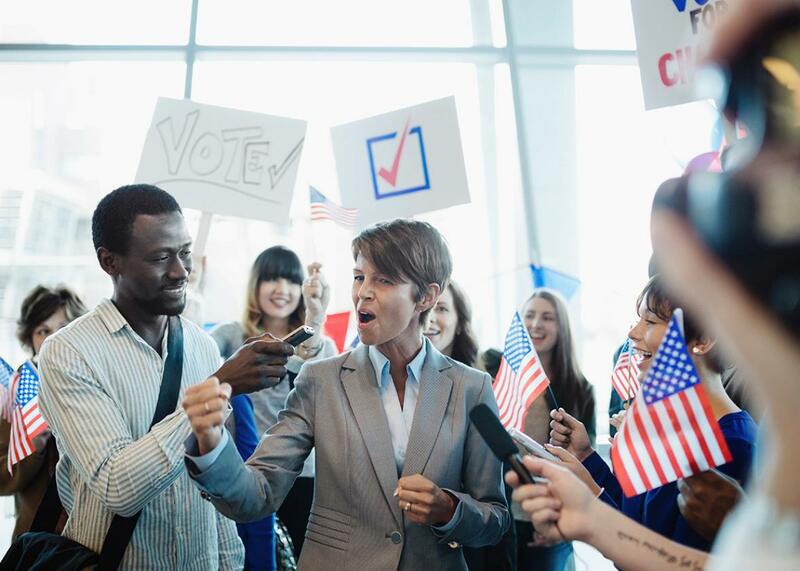 NationBuilder offers a comprehensive package for campaigns that includes a website and tools for fundraising and email, volunteer, and event management. Those services start at $19 per month. It also offers a free voter file and a free online course on running for office. NGPVAN offers a similar set of tools specifically for Democratic candidates. Contact them for pricing info. Online Candidate offers website creation and hosting services for political candidates starting at $29 per month. Polis is an app that manages door-to-door canvassing by, among other things, optimizing walk routes and tracking response data. A basic plan allows you to reach 20,000 voters with the app for $350 a month. SnapSite offers website creation and hosting services for political candidates. It starts at $19.99 per month. Trailblazer offers tools for fundraising, financial disclosures, and canvassing. Wordpress: Candidates can set up basic sites with custom domains with Wordpress at little cost or craft a more complex online presence.